Oral hygiene is important, that’s why we brush our teeth! Proper tooth care is also important for our pet’s too – because (in most cases) their teeth aren’t brushed everyday. This allows bacteria to build up and feed on food debris on teeth. These bacteria build up to form plaque – a difficult-to-remove layer that coats the teeth. As this plaque builds up, it can cause gum disease, which is why it is important to look after your pet’s teeth! We recently discussed one method of removing plaque and tartar build up, but because oral hygiene is that important, we’ve taken the time to compile this list of oral hygiene products to help your pet’s teeth shine and leave their breath smelling fresh! The majority of these products can be used on dogs and cats (and one even on mice and guinea pigs! ), so take the time to look through and see which product would be best suited for your pet! Trying to get your dog or cat to sit still while your attempt to brush their teeth can be a difficult task. That’s why a number of the products on this list have come up with novel methods of application. Beaphar Tooth Gel is a thick gel which is simple to apply to your dog’s or cat’s teeth. After applying the gel to your pet’s teeth, their tongue will do the rest of the work! The gel contains propolis, a resin harvested by bees from tree buds. Propolis has a number of properties, but two important properties are its antimicrobial and anti-plaque activity. If you prefer the more traditional approach of a toothbrush and toothpaste (it’s good enough for us right? ), then it is worth getting a specialist toothbrush (and toothpaste) as opposed to using one of your old brushes! Pet toothbrushes are specially designed to be easier to fit in their mouths and easier for you to hold! This Beaphar brush has two different sized heads making it suitable for all dog breeds and sizes. In terms of anti-plaque and anti-tartar activity, pet toothpaste is very similar to human toothpaste – however, human toothpaste is often strongly flavoured which can be a little overwhelming for your dog (unless they enjoy the taste of mint of course!). Beaphar have got around this by making their toothpaste liver flavoured! Another novel offering from Beaphar is their ‘Fresh Breath Tablets’. These tablets are suitable for both dogs and cats and can help to keep their breath smelling fresh! Because these tablets don’t have anti-plaque or anti-tartar activity, they work best when used with either brushing or one of the other alternatives – such as the Tooth Gel. 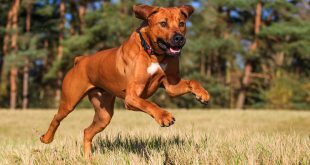 If you need a quick fix for your pet’s breath, these tablets are handy to have nearby! It’s not just our dogs and cats that need a little help in the oral hygiene department, which is why Beaphar have also developed these Dental Easy Treats for Small Animals. These treats are suitable for small animals such as guinea pigs, rabbits, rats, mice and hamsters. The treat pieces are specially designed to provide a brushing action as the animal chews. Whilst treats like these aren’t as effective as brushing, it’s a lot easier to give your hamster one of these treats than brush their teeth! Like the small animal Easy Treats, these treats make looking after your dog or cat’s teeth a lot easier. 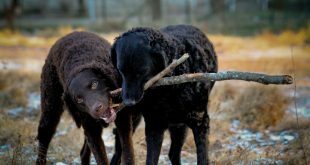 Again, although brushing is more effective at removing tartar and plaque, if you pet simply refuses to have their teeth brushed – these might be the option for you! Your pet will love these treats, but at the same time, the specially designed pieces will have a gentle brushing action on the teeth and freshen their breath. An interesting alternative to brushing from Petkin, these dog-friendly tooth wipes are much easier to use than a tooth brush – simply wipe! The wipes are mildly abrasive, meaning they can gently remove plaque and tartar but they are also antibacterial (to help remove any bad bacteria in the mouth) and they also leave your dog’s breath smelling fresh! Another interesting method of looking after your pet’s teeth, simply add this product to your pet’s water to turn their water into ‘mouthwash’! The product doesn’t alter the smell, colour or taste of the water, so your pet won’t even notice you’ve added it. This Liquid Oral Care can help fight tartar and plaque, but has no abrasive action. Adding this Liquid Oral Care to your pet’s water makes looking after their teeth easy for you – but some users have noted that if your pet doesn’t drink all their water it means throwing away some of the product at the end of the day. Another gel suitable for dogs and cats, this gel can be applied to the paw so you don’t even need to struggle putting it on the teeth! Your pet will lick the gel off their paw allowing the formula to get to work on their teeth. The anti-plaque properties of the product come from the multi-enzyme formulation. For the best results, try brushing your pet’s teeth alongside using this product – but for those pets who hate toothbrushes this makes a stress-free alternative. If you pet’s breath isn’t the freshest, these sweet breath tablets can provide a quick, short term fix. Without anti-plaque or anti-tartar activity however, be sure to include brushing or another method of oral hygiene care in your routine! Another option for the dog who doesn’t like to brush! This tasty treat helps to freshen your dog’s breath, but chewing on a bone can also help to ‘brush’ your dog’s teeth without them knowing it. Although not as effective as a standard brush – at least this treat will leave your dog’s breath smelling fresh! The Herba-Dent bone treat also contains plenty of vitamins and minerals, including iron, to help with digestion and general health. This paste contains natural breath freshening and anti-bacterial agents which help reduce plaque and tartar. Dogs and cats will enjoy the taste of this paste and it doesn’t contain harsh abrasives, meaning it can be used daily. There is no need for a brush, making this great for pet’s who aren’t a fan of brushes, the gentle minty taste/smell also leaves your pet’s breath smelling great. The best method of removing plaque and tartar is preventing it building up in the first place! Start brushing your pet’s teeth from an early age to help prevent tartar buildup and get them used to the whole idea of brushing. This set includes a finger brush – perfect for your puppy/kitten’s small mouth and a gentle toothpaste that isn’t too strongly flavoured or too abrasive. Is there a particular product you’ve found useful? What about brushing, is your pet a fan? 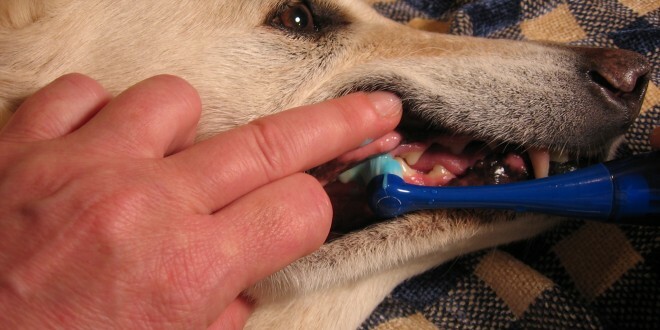 How do manage your pet’s oral hygiene? We’d love to hear your thoughts, so leave them in the comments below! It’s not just flavor that separates human toothpaste from dog toothpaste. Human toothpaste is meant to be spit out, not swallowed. It’s not safe for dogs at all! Dog toothpaste also doesn’t contain fluoride, doesn’t foam up, and is made from ingredients that are safe for dogs.